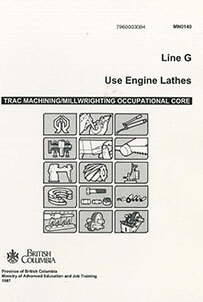 Provides a basic understanding and practical experience of engine lathe operations. Training is hands-on and theoretical work is kept to a minimum. Safety glasses and footwear with steel toes required. Safety boots and glasses required. Text: Trac Machining/Millwrighting Occ Line G (MN 0140). Note: BCIT reserves the right to cancel courses. In the event of a part-time studies course cancellation, you will be notified at least two business days prior to the course start. Please ensure that your contact information is current. Interested in being notified about future offerings of MACH 0105 - Lathe Operator? If so, fill out the information below and we'll notify you by email when courses for each new term are displayed here.